We are all aware of Microsoft’s Surface Studio; the idea was revolutionary. Allowing artists, and creatives, a digital interface that allowed for digital creation on an unprecedented scale. However, that creative power came at quite the cost. So, to make things easier on the consumer, Dell has delivered their answer through the Dell Canvas 27. Unveiled at CES 2017, the Canvas 27 looks and functions much in the same way as the Surface Studio, but it has one significant difference. 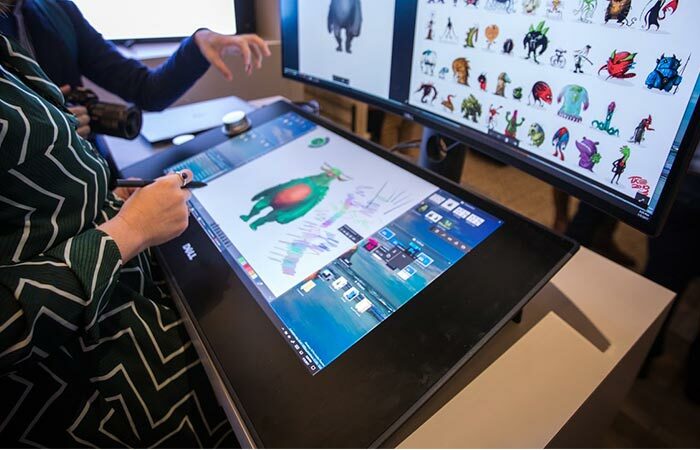 It is also not meant to replace the Surface Studio, according to Dell. The Canvas acts as a secondary screen. It comes complete with touch, digital pen, and totems, and is marketed at creative individuals and professionals. Essentially, the Canvas 27 is the “world’s first horizontal smart workspace of its kind”. The Canvas features a 27-inch QHD smart screen that can be used at an angle or flat. This allows professionals and artists to create with a certain level of flexibility. In addition to this, the creative flow was designed to be much like using ordinary pen and paper, but just enhanced. Check out the video below. Much like the Surface Studio, the Canvas also comes with two totems that allows for intuitive control over your creative project. 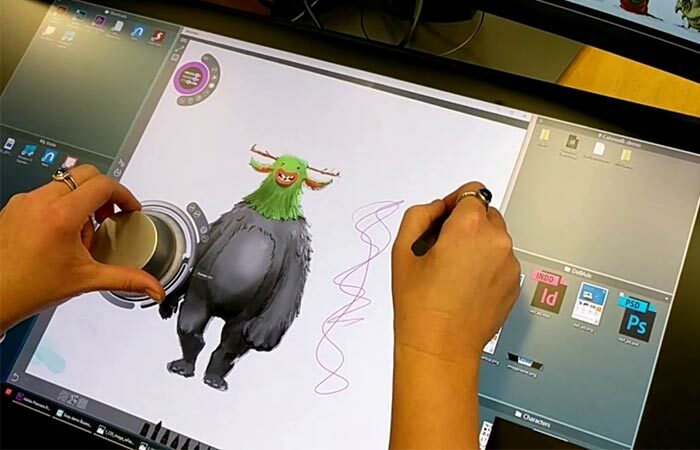 The Canvas comes with touch capabilities, a digital pen, and totems. This allows you to easily and quickly put down that inspired thought. The major difference between Microsoft’s Surface Studio and Dell’s Canvas 27 lays in the fact that it is not a standalone computer as with the Surface. It works by plugging into your computer and acting as a secondary screen. However, it does not shy away from performance with a resolution of 2,560 x 1,440 pixels.